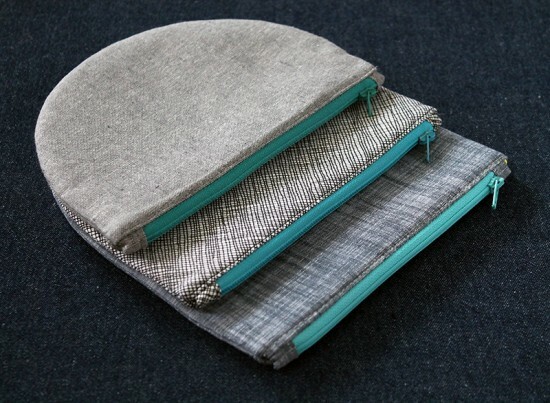 This week on the Sizzix post I share the set of Half Oval Pouches I made using one of their brand new dies! You can see all the photos and more over on there. Today on the Sizzix Blog, I share a super detailed and photo heavy tutorial on how to sew curved seams, install a zipper and assemble an entire pouch, This exact pouch! It’s chock full of skill building steps, so if you have ever been discouraged by any of those things, go check it out! Tutorial: Christmas in July with Sizzix! This is a new concept to me, but when Sizzix was looking for some design team members to do Christmas in July posts, I jumped on the opportunity. Today on the Sizzix blog I share a step by step tutorial on how I made these mug rugs! I also share my way of sewing Y-Seams!! What?!? I also found that these can be turned into super cute hexagon bowls. Like the one I showed in the Alison Glass Mini Quilt Swap Post. I’ll share the way I made them, and then link to another way where there is less piecing involved soon enough. I promise.